Christmas carol ukulele at the turning on of the lights in Donnybrook – kids, Santa, RUGS and more… If you’re looking for some Xmas carol inspiration, here’s a book of ukulele Christmas songs to try. 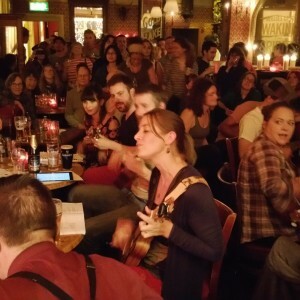 The first ‘official’ Ukulele Tuesday video (niftily assembled by Mark Mangan), featuring a vertiable army of ukuleles hammering out this classic Talking Heads tune – and not a big suit in sight. This video was picked up by a number of Irish websites, including JOE, BreakingNews and the Independent.